When it comes to organising any holiday there are a number of planning stages we all go through. It is no different, though perhaps a little more complex, when that involves a multi-centred holiday and the means of transportation is by train! 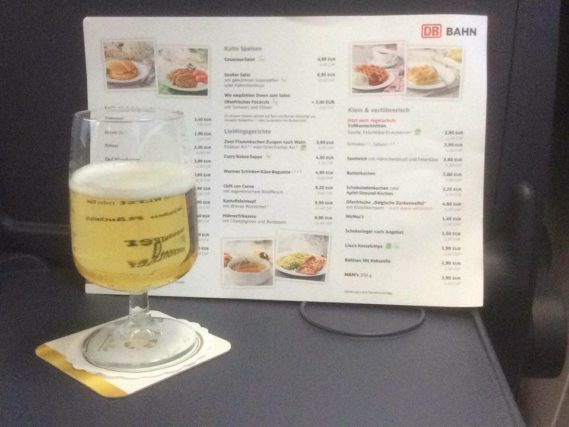 I love travelling by train for lots of reasons – its easier, a lot more relaxing than driving and you also see more than you can from a metal tube flying at 36,000 feet. 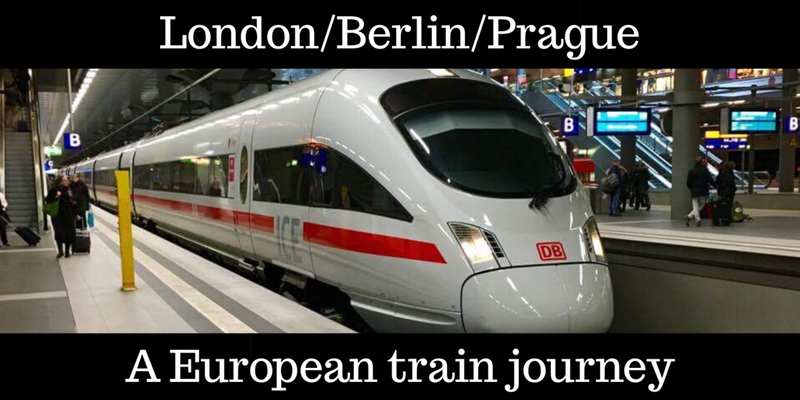 If you are planning a European train journey or even more specifically the same train trip that we took from London to Berlin and onto Prague than my practical guide to the train, stations and the journey in general will help you. 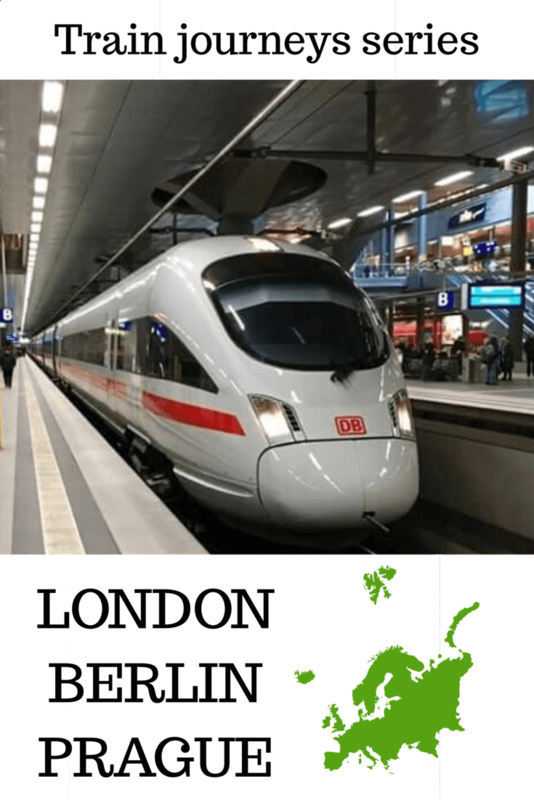 If this a journey you plan to take read all about our experiences of traveling by train London Berlin Prague in Europe. How long have you got? We had 9 days which was definitely enough time. If you have a week off work with 2 weekends either side than you can definitely do this trip. Where do you want to go? We studied a map of Europe to decide initially which cities we wanted to visit. Obviously they had to be close together with good rail connections. 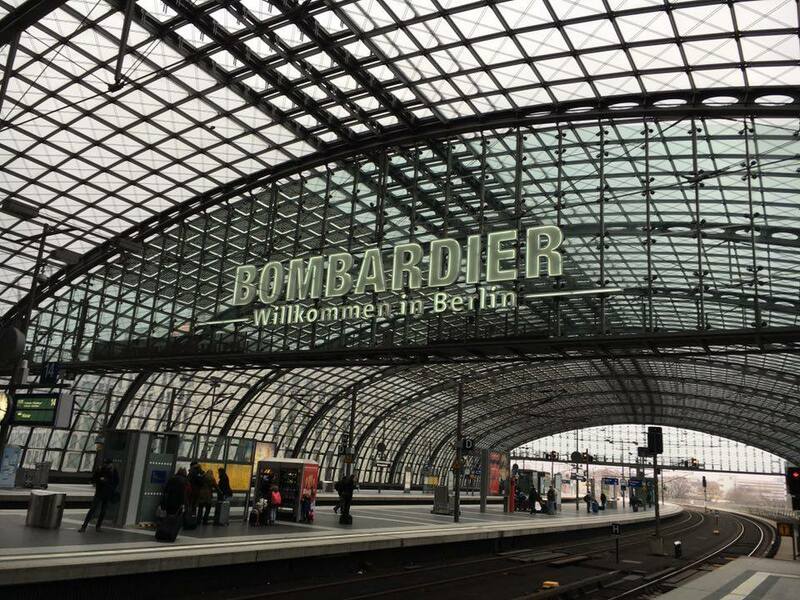 If you are visiting Europe for the first time don’t try to do too much too quickly rather choose a couple of cities close together so you don’t spend your entire trip on a train! Is it doable? 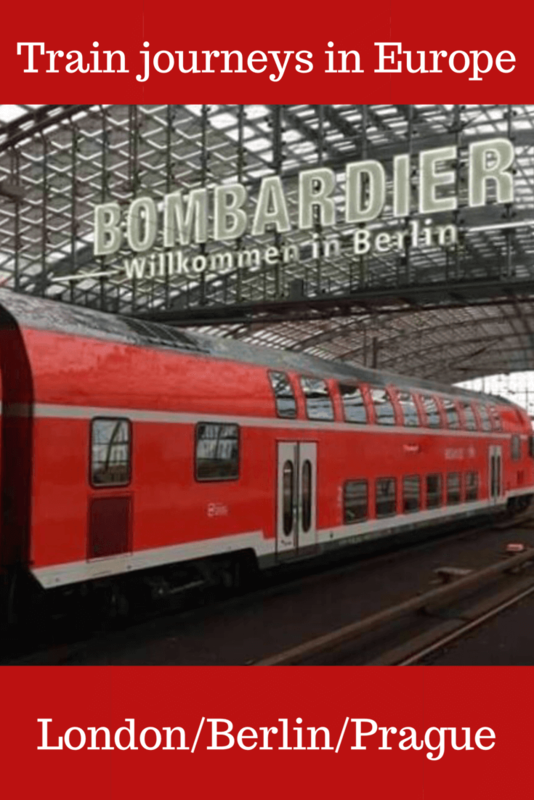 Next I always use THE best site for planning train travel anywhere in the world and I always start with seat61 the site is amazing and is an indispensable resource for train travel anywhere. 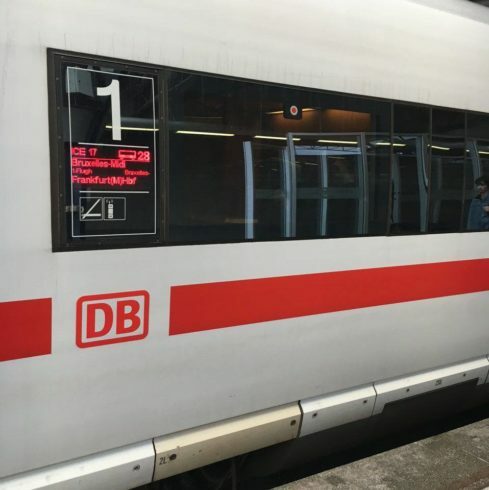 I would also recommend a check of the Deutsche Bahn website. 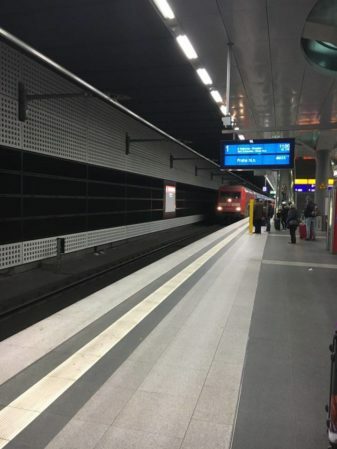 This is the German railways site and gives you access to all European train timetables so you can work out a journey times. 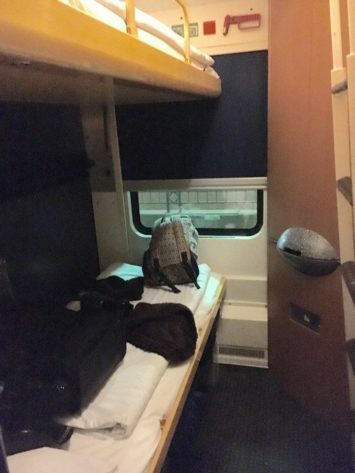 We found that the trip was very doable and that we could return from Prague to Cologne by sleeper which would be exciting. 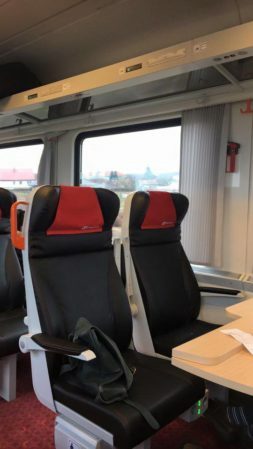 Request a quote – we used International Rail (0844 2482483) but see seat61 for information and an explanation of how to book tickets for Europe as he goes into a lot of detail – more than I can or even want to! We checked the quote, the train times and then paid up! Book hotels! I use booking.com as most hotels are bookable with free cancellation. As soon as I had the itinerary sorted I booked the hotels. 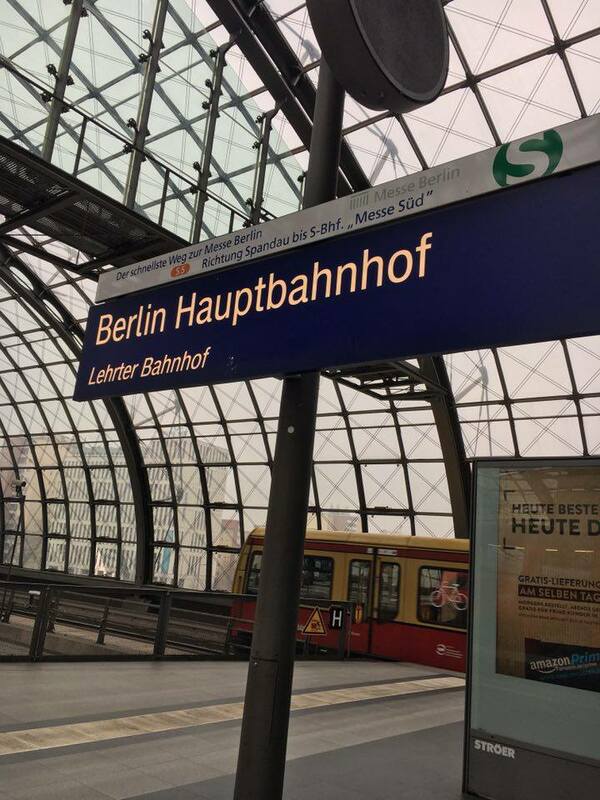 Because we were arriving in Berlin after 9.30 pm I chose an hotel very close to the train station (across the road) as I knew the last thing we would want to do was try and locate the hotel in a city we didn’t know. Prague was different as we arrived mid-afternoon so I looked for something closer to the old town. 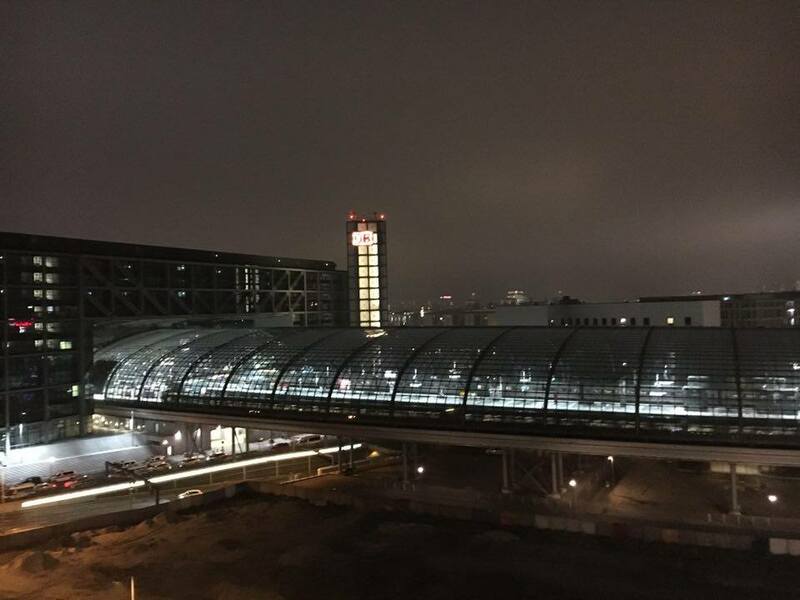 We stayed at the Motel One Hauptbahnhof in Berlin. 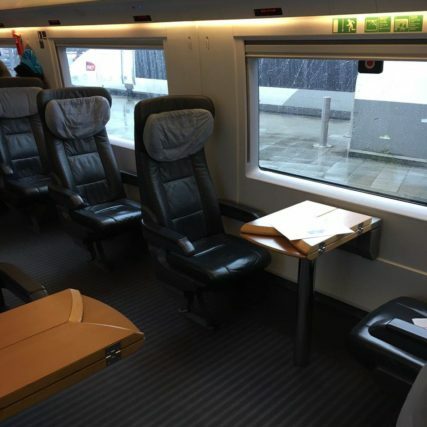 We found it very comfortable, affordable and most importantly very close to the train station. Click here to book this hotel! In Prague we stayed at the Grandior Hotel which was a little further from the train station but we found it excellent value. Click to book the Grandior Hotel here! Eurostar Brussels – London 2 hours 10 mins approx. We upgraded to Standard Premier class on the Eurostar which comes with a light meal and drinks served at your seat, complimentary magazines and extra spacious and comfortable seats. We stayed at the Megaro Hotel which is across the road from the station the night before so were not stressed when we arrived for the train. A long day lay ahead of us so it was good to be prepared. Book your stay at the Hotel Megaro – the perfect hotel for Eurostar passengers. 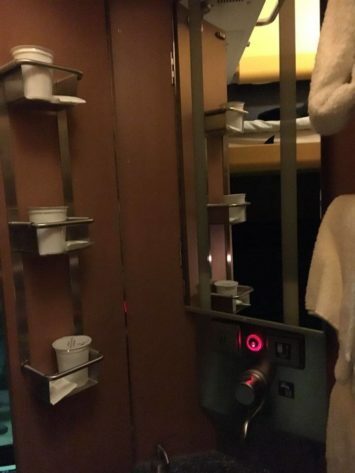 There is also restaurant in some of the trains but we were reluctant to leave our belongings after being warned about the possibility of pickpockets on the train. 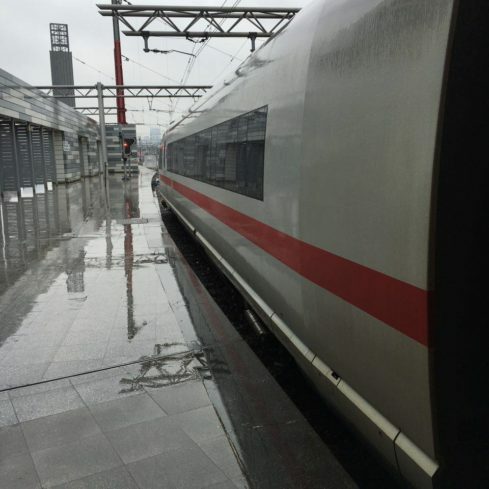 We caught an EC train from Berlin to Prague. It was red not white which I am guessing is a colour reserved for the ICE trains. 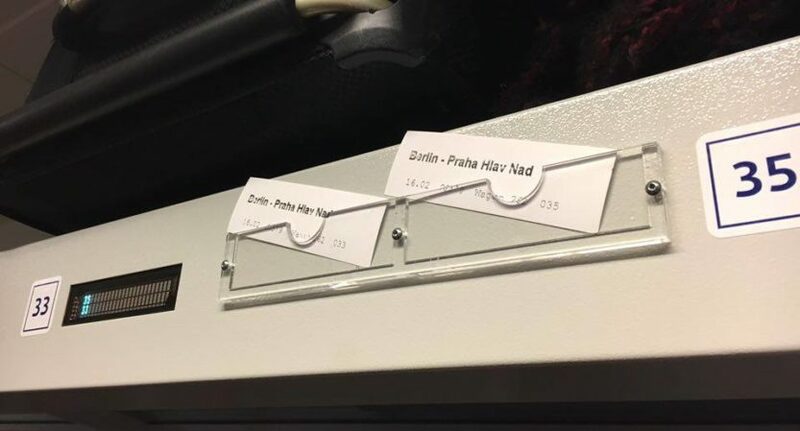 These trains travel to Germany’s neighbouring countries. 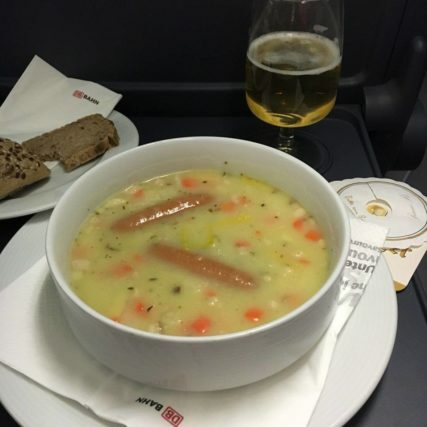 Again in first class we had at seat service so we had to try the food! 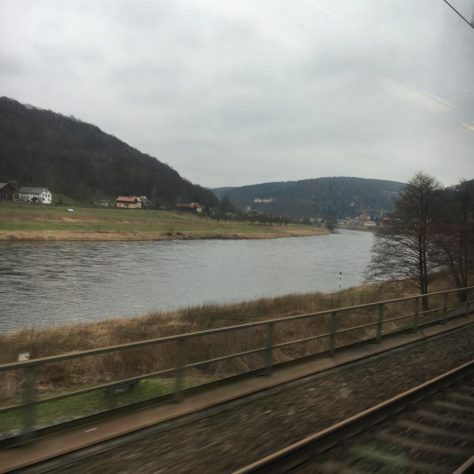 After you pass Dresden the views of the Elbe valley are lovely but you need to be on the left side of the train. On the ICE and EC you also get these guides in the seat pocket which tells you about the train, facilities and also the timetable. Helpful! 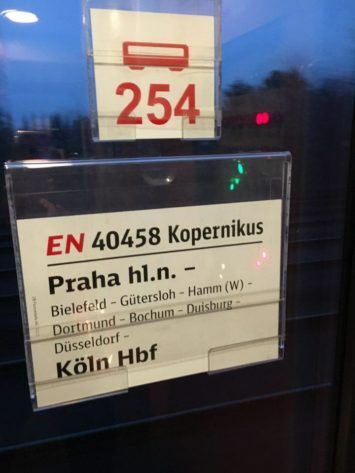 This is the night service that used to run return from Prague to Amsterdam but unfortunately now only goes between Prague and Cologne. 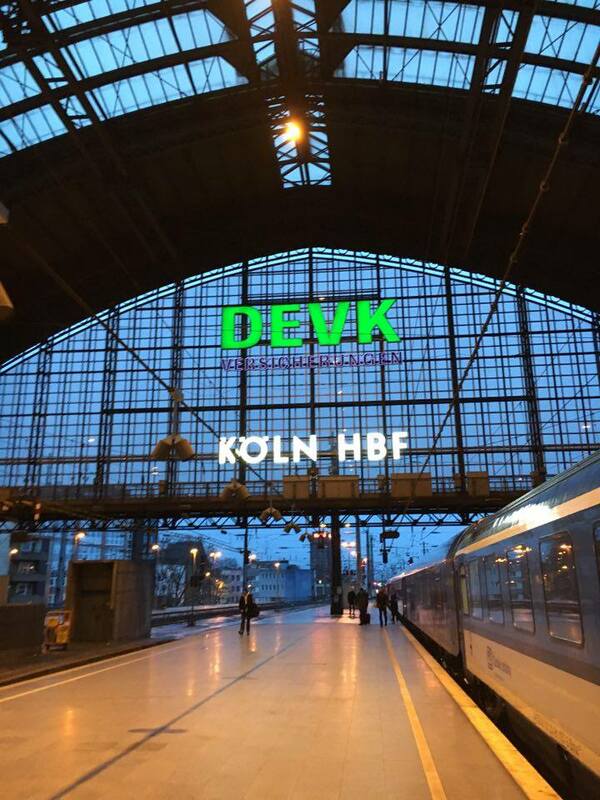 We left Prague main station at 18:29 and were scheduled to arrive at Cologne just before 7 am. Unfortunately the service was running a little late so we didn’t get in until about 7:30. 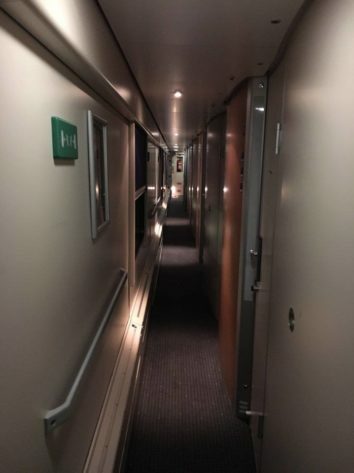 The beds are made up for you when you get on the train and as there is no restaurant or day coach you are a bit of a prisoner in your berth. An additional problem in our carriage was the lack of running water so the ability to use the sink in the cabin was a bit reduced! A few plastic containers were included so you could brush your teeth but otherwise it was pretty shoddy. Consult seat61.com – I always start with this site! Travel light!! Check out my packing and guide and tips! Check all your connection times! Take food/drink on sleepers with you as there may not be facilities. Keep all the clothes etc for the sleeper in one bag as there is not much room to be rummaging around suitcases on there! Don’t leave any bags unattended at any time on the train because of the prevalence of pickpockets. 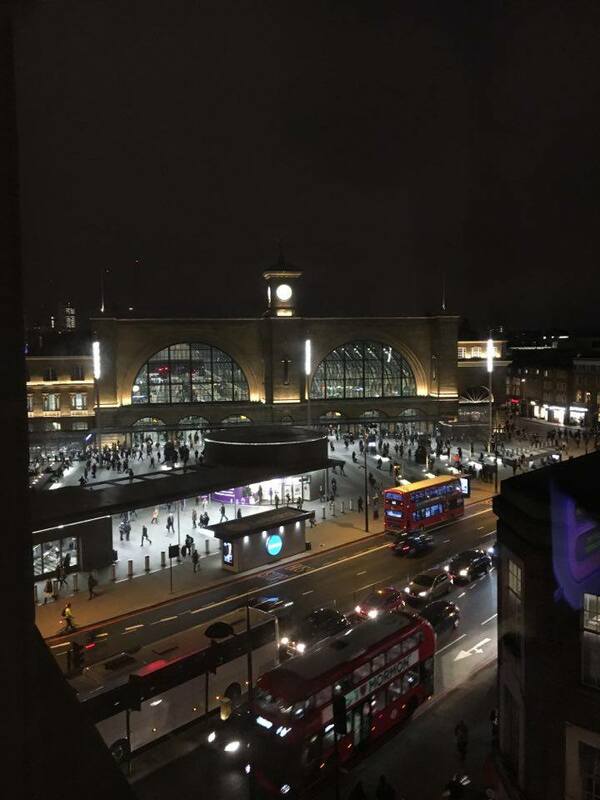 If you have an early start/late arrival I would always advise to book accommodation near the station to make life a lot easier!! Make sure you have travel insurance! For more information about train lines and passes read more about European train travel in this guide. I love train journeys! 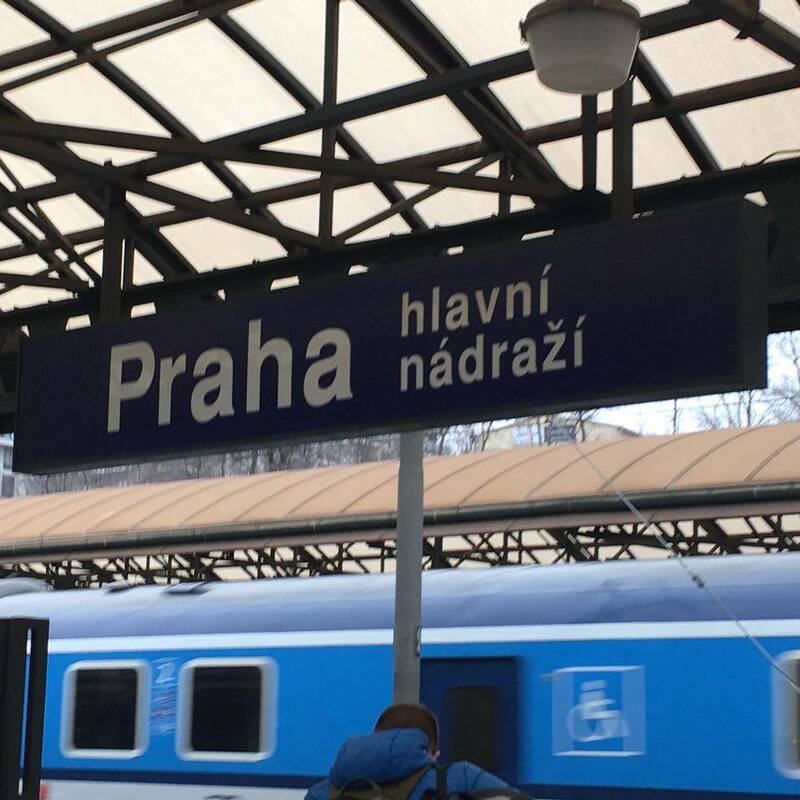 Is the London to Berlin to Prague train journey something you would enjoy too? What is your favourite train journey? 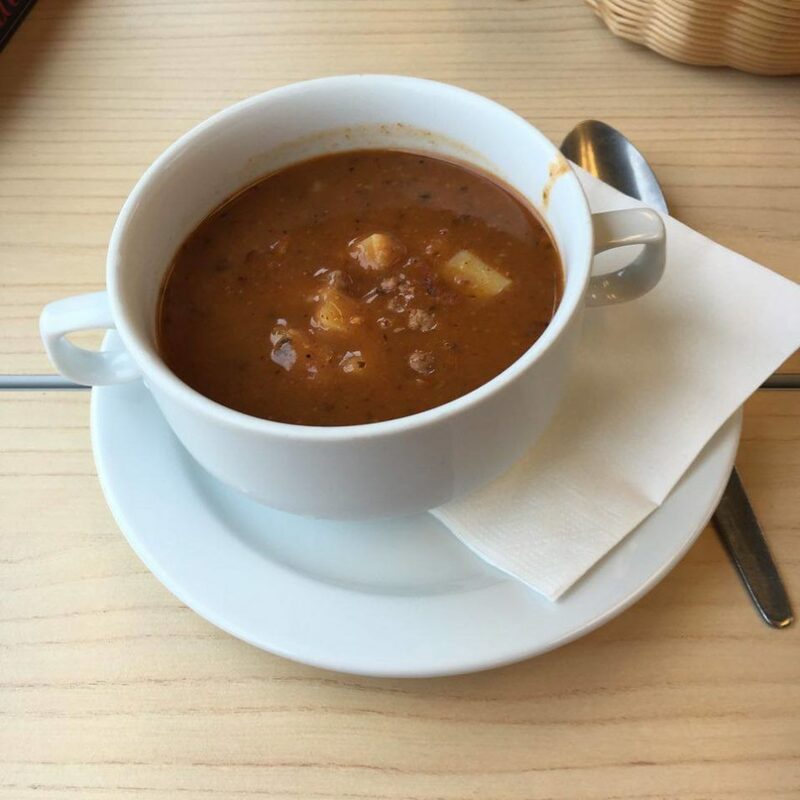 Previous Post Why you need to visit Prague in winter! This is the perfect route. I love traveling by train and this is definitely my next travel destination! 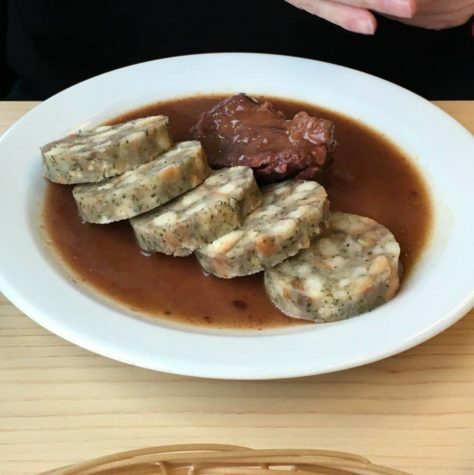 It was great – we really enjoyed it!